If you live, like me, in a northern climate, then you might be starting to suffer from the lack of sunlight, and from the cold November winds. Fortunately, there’s plenty to do in on OpenSim grids, where the sun shines bright whenever you want it to and the temperature is always perfect. The OpenSimulator Community Conference has sold out but you can still sign up for free online streaming — or stop by and visit the unlimited access Expo regions. 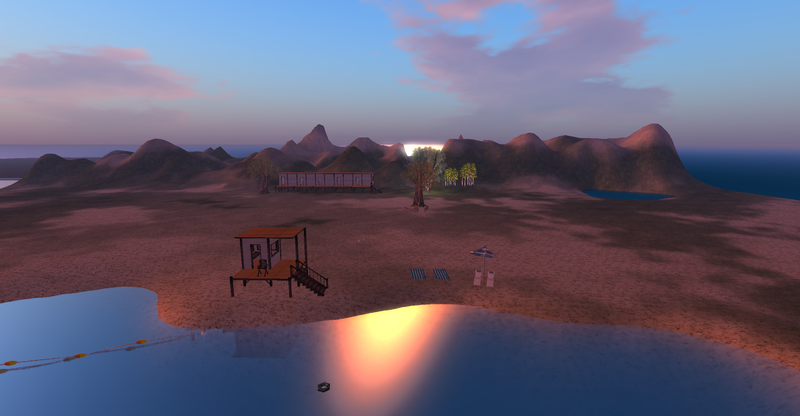 The conference grid is on the hypergrid, so teleport over to cc.opensimulator.org:8002 and then use the Map to visit Expo Zone 1, Expo Zone 2, Expo Zone 3, Expo Zone 4 and Expo Zone 5. There’s also a Sandbox region and a Shopping Zone if you’re looking for freebies. But of course, the conference program is the big draw of the weekend, with keynotes by OpenSim developers, High Fidelity’s Philip Rosedale, and Oculus Rift’s Steve LaValle. If you’re interested in business and enterprise applications of OpenSim, check out the Business & Enterprise Track. Ilan Tochner will be giving a presentation about the Kitely Market, Julie LeMoine will be talking about how to sell virtual reality to big corporate clients, Christopher Lindstrom will talk about using OpenSim for urban planning, and I’ll be giving a broad overview of the growth of OpenSim and of the hypergrid. We will also have several discussion panels, including one on women in virtual reality, one on content protection in OpenSim, and one on whether OpenSim has the critical mass to survive. For those interested in content and community, there’s the Content & Community Track. Learn about story telling in virtual worlds, about creating virtual training environments, about using machinima for language learning, about virtual laboratory training, about virtual recreations of historic sites, about holographic avatars, about quest-based learning, and about a new association formed forming to represent grid owners. For the more technically-inclined, there’s the Developers & Open Source Track. Learn about scaling OpenSim inventories using NoSQL, optimizing and improving OpenSim performance, and developing complex applications in OpenSim. 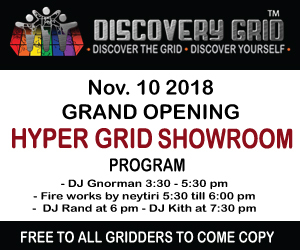 Or get some insights about what’s happening with viewers at the viewer developer panel or where the hypergrid is headed with hypergrid inventor Crista Lopes. Looking for a Web-based browser for OpenSim? Check out this talk by realXtend’s Toni Atalano. Or maybe you’re interested in what Intel has been working on lately — a language-independent API for external scripting of OpenSim regions. 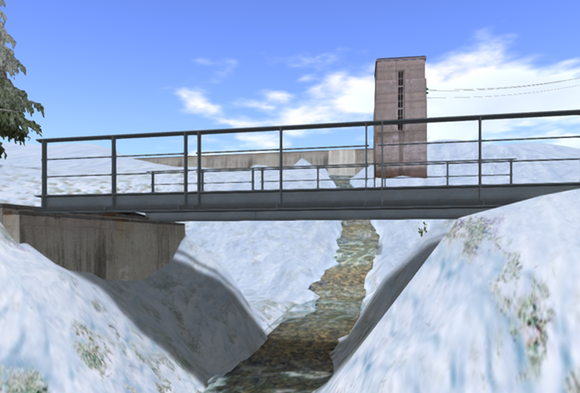 Education is a major area of focus for OpenSim users and Hypergrid Business readers, and they get two tracks — the Research and Education Track, and the Learning Lab. The Research and Education track includes ten presentations that cover grade schools, international schools, geoscience, economics and more. But the Learning Lab has events for non-educators as well, such as tutorial in how to move content from Second Life to OpenSim and Unity3D, and a game show-themed speedbuild. 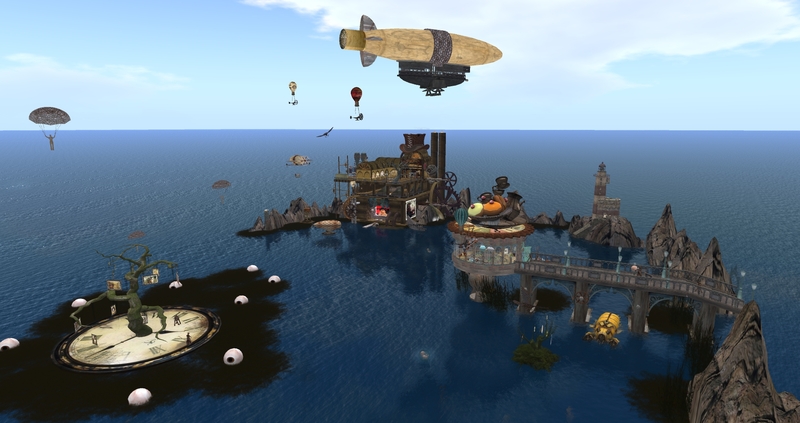 Famed builder Avia Bonne has brought her SteampunkZ region to Littlefield grid for anyone to visit. It’s accessible via hypergrid teleport at lfgrid.com:8002:SteampunkZ. Littlefield is also hosting a live DJ party for OpenSim Community Conference attendees on Saturday night. 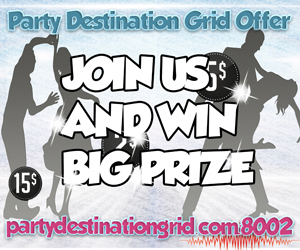 The party starts at 8 p.m. Pacific and is at the Speakeasy Dance Club. Teleport via hypergrid to lfgrid.com:8002:Speakeasy. 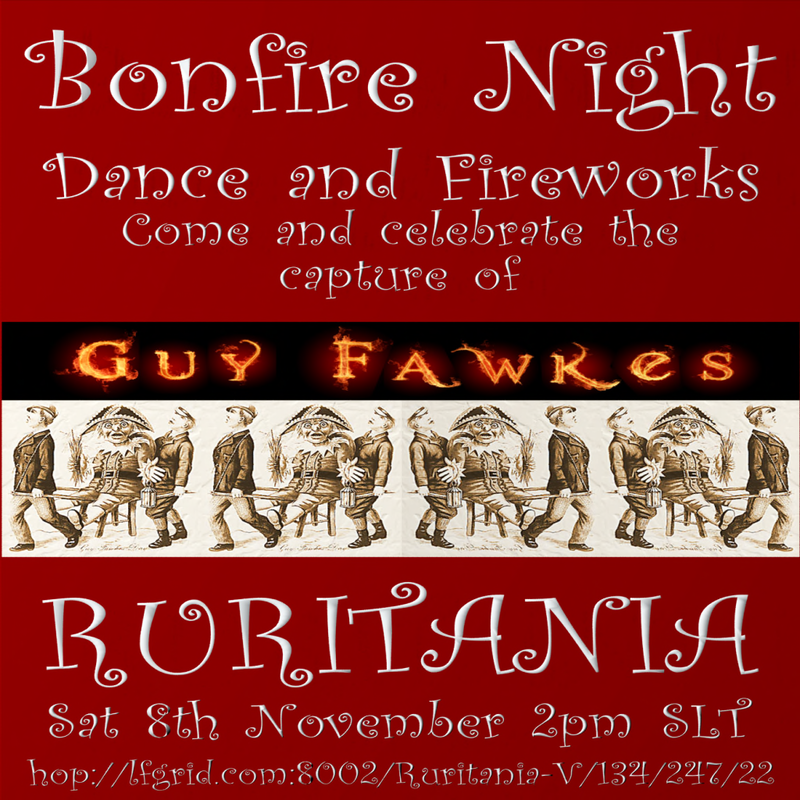 Earlier the same day, at 2 p.m. Pacific, there’s a Guy Fawkes Dance and Fireworks at the Ruritania region. Hypergrid teleport to lfgrid.com:8002:Ruritania-V. There is also another after-party Sunday night for the OpenSim Community Conference, to wrap up the entire event. The Tiki Beach Dream-Pop Rave and sunset dance party starts at 7 p.m. Pacific and there will be freebie gifts, socializing on the beach, in the Caffe and in the Irish Pub, and the Pirate’s Museum has just been opened as well. Teleport to piratesatoll.com:9032. Pirate’s Atoll is a relatively new grid on the hypergrid. It also recently opened a store in the Kitely Market, and is holding NaNoRiMo write-ins at the Caffe Pellegrino at 6 p.m. Pacific every weekday. 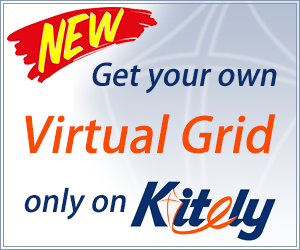 A new OpenSim grid, Xmir, has turned on hypergrid access to show off its mesh content — and opened a store on the Kitely Market. The grid is made up ofs 28 contiguous regions with landscapes ranging from from a Nordic coastal environment to a Middle Eastern mountainous river valley. What makes the grid unusual is that it runs on a Mac, on the OS X operating system, with a PostgreSQL asset server. The grid is currently only open to hypergrid visitors — local residency is not available until PostgreSQL support is fully functional. Since Virtual Highway has rolled out variable-sized regions this summer, they have increased the grid’s land area by 62 percent. Now the grid is expanding its varregion offer — an area the size of four standard regions, with 40,000 prims, is now US $100 per month, an area the size of nine regions is $225 per month, 16 regions is $400 per month, and an area the size of 25 regular regions is $625 per month, with additional prims available on request. A varregion has no border crossings, making it a good option for sailing, driving, flying and other vehicle-based activities. The grid held a Halloween fundraiser last month, which brought in 23,000 V$ (US $92) for the St. Jude Children’s Research Center. 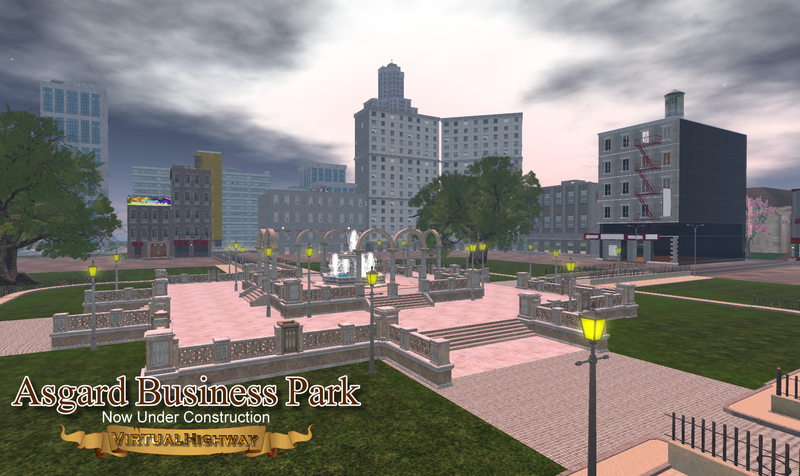 Finally, Virtual Highway is almost done with the construction of the Asgard Business Park, a city-themed build surrounding a central park. The area is designed to hold stores and businesses. The new Littlebird grid administration is holding open meetings every Saturday at 1 p.m. Pacific for both residents and hypergrid visitors on the Bridge Fild region, next door to the welcome sim Wing Island region, accessible via hypergrid teleport at lbgrid.com:8002. 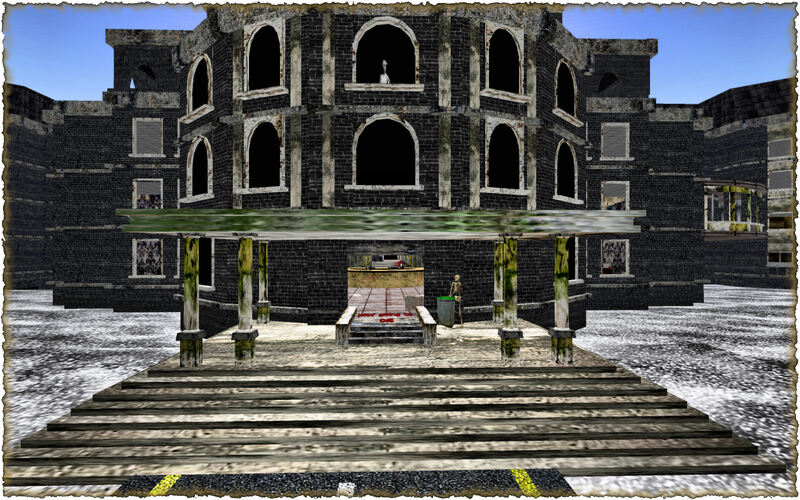 The grid has also upgraded to the latest version of OpenSim, which has increased stability, sped up teleports, and improved region crossings. Also adjacent to the Wing Island region is the Silver Moon region, home to the “all-inclusive family nudist beach,” open to all residents and hypergrid visitors.